In many instances, a patient’s first exposure to a hospital is the emergency department. If that experience is positive, the patient and his family also have a favorable impression of the hospital. If not, it can lead to a bevy of negative consequences, including poor patient satisfaction scores, reduced reimbursement, lower staff morale, and increased risk of malpractice suits. 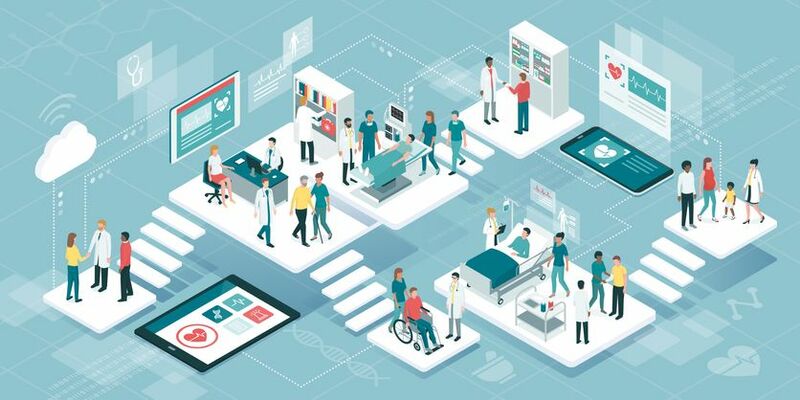 As a provider, you have the opportunity to make an impact on hospital performance and patient satisfaction by not only providing high-quality clinical care but also by focusing on communicating clearly and compassionately. Providers often emphasize the quality of care as the sole metric for patient satisfaction. While several studies have demonstrated a clear relationship between patient satisfaction and the quality of care, that alone is insufficient to ensure patients and their families leave the ED feeling good about the treatment they received. Effective communication accompanied by compassionate care fosters a healthy provider-patient relationship and engenders trust that can lead to better outcomes, both physiologically and psychologically. To paraphrase an old adage, “Patients don’t care how much you know until they know how much you care." Because CMS links patient satisfaction scores through HCAHPS to reimbursement, a hospital's ability to stay open and provide medical services for the community depends on improving the patient experience. Despite the possible limitations of current survey methodologies, they are an integral part of the daily practice of emergency medicine, and there is no downside to having good scores or working to improve the ones you have. That is why you should regard every person who comes to the ED much the same as a restaurant or retail business treats its patrons — as customers, not just patients. Acknowledging the patient-customer paradigm helps ensure we uphold their right to personalized service and, hopefully, meet (or exceed) their expectations. Provider attitudes that emphasize the quality of care rather than building rapport. If allowed to persist, these factors can multiply until the community holds a negative opinion of the ED and hospital, leading to loss of market share. Studies show that the risk of a malpractice suit is related to patients’ dissatisfaction with their providers’ ability to establish rapport, administer care and treatment consistent with expectations, and communicate effectively. Providers who were frequently sued were most likely to be seen as hurried, uninterested, and unwilling to listen and answer questions. When malpractice attorneys were asked to give the primary reason the patient pursued litigation, they reported that more than 80 percent were due to communication issues, 35 percent to provider attitudes, and another 35 percent to failure in communication. Conversely, good customer satisfaction results in fewer lawsuits and reduces other risk management issues. Anger, not injury, triggers most claims; empathy and good interpersonal skills are its antidotes. Patient satisfaction leads to staff satisfaction. Good customer satisfaction creates an environment the staff enjoys, resulting in higher morale and less turnover. It is a virtuous cycle: improved staff satisfaction further improves patient satisfaction within the health care system. Better patient compliance. 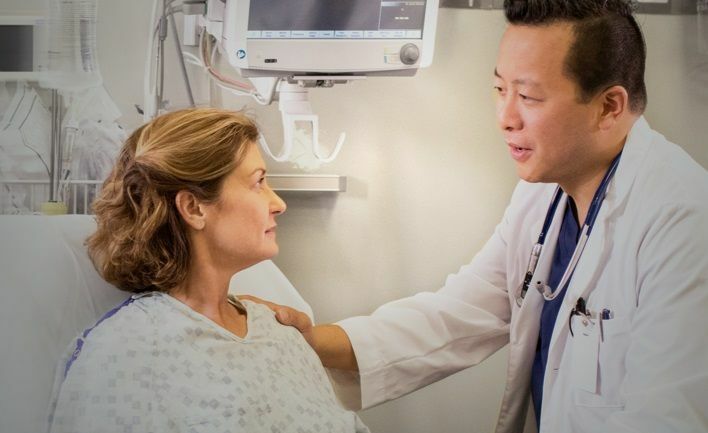 Patients are more likely to comply favorably to instructions, which leads to a better response to treatment, improved safety, and lower readmission rates. Greet patient formally and smile. Apologize for the wait and acknowledge other people in the room. Make real eye contact. By doing this, patients perceive you have spent more time with them. Wear your name tag. Proper dress communicates professionalism. Introduce yourself. Shake hands, sit down, and ask, “What can I help you with today?” Studies show sitting down, even for a brief period, improves patient perception of time spent with them. Appear unrushed, even if you are. Try to establish what the patient’s expectations are. Set up realistic expectations for the visit. You will be more likely to have a happy patient if you achieve realistic mutual expectations. Tell the patient what is going to happen and how much time it will take. Overestimate time and outline the plan clearly. Perform at least one non-medical gesture (e.g., give the patient a pillow or blanket, adjust the bed, etc.). Remember that nonverbal cues and tone are about 80 to 85 percent of communication. The team should periodically inform, update, explain, and control pain. Educate the patient regarding your initial impression and treatment plan. Include limitations in the diagnosis to eliminate the patient’s expectation of certainty. Give the patient and family members an opportunity to ask questions. Explain uncertainty in the diagnosis. The patient’s medical condition may get worse or be misdiagnosed. The discharge instructions should act as a safety net to deal with this possibility. Providing excellent clinical care is the first order of business when patients visit the ED. But don't stop there. To improve patient satisfaction, communicate effectively and act compassionately. Having a high-quality interaction with ED doctors and staff leaves the patient with a better impression of the ED and hospital, increases survey scores, minimizes malpractice risk, and fosters a relationship of trust that can lead to your hospital becoming the place patients go to for their health care needs for a long time to come. Get to know how SCP works with hospitals to implement workflow and process innovations that improve patient satisfaction by viewing this case study.